Walt Disney was the co-founder of Walt Disney Productions, one of the most influential motion picture production companies in the world. He was also the creator of the world-famous Disneyland, which attracts over 15 million visitors a year. Born on December 5th, 1901, Walt Disney was the fourth son of Elias and Flora Disney. He developed a love for drawing at a very young age when he was paid to draw a neighbor’s horse. In high school, he was the cartoonist for the school newspaper. He dropped out of high school at 16 and joined the Army where he was an ambulance driver. 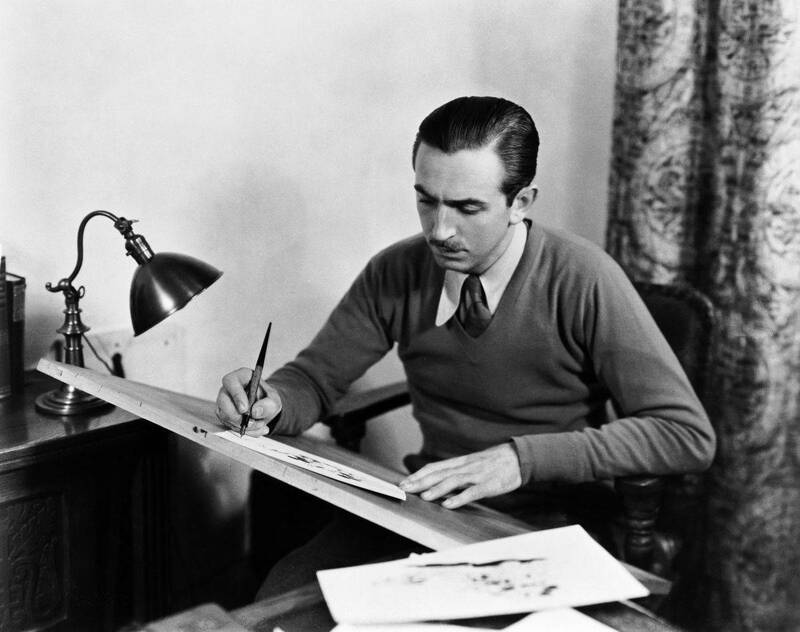 At 19, he started his first commercial company called Iwerks-Disney Commercial Artists. He experienced a rough start with this venture, prompting Disney to leave for another ad company. In 1921, Disney started his first animation business and made his first-ever animated series called “Newman Laugh-O-Grams.” However, the income from the cartoons was not enough to save his young company from bankruptcy. Unfazed by setbacks, Walt moved to Hollywood to continue pursuing his dream of creating a successful cartoon series. He faced many failures and challenges before he finally created the Mickey Mouse character in the late 1920s. In the late 1940’s, Disney began envisioning a plan for an amusement park. Disneyland opened in 1955 with the goal of becoming a source of joy and inspiration to the world. Today Disneyland directly employs more than 20,000 employees and receives over 15 million visitors per year. Walt Disney was a dreamer. Even after he achieved success, he never stopped pursuing new ideas and creating new cartoons. He didn’t become complacent and continued to innovate. Never stop innovating and dreaming. The possibilities are only limited by your imagination! The desire for innovation translates into the desire to continuously learn and grow to be better at what you do. Disney suffered many setbacks throughout his career. Mickey Mouse wasn’t created in a day, and Disney indeed wasn’t an overnight success! A closer look at Walt Disney’s story shows he went through a problematic ten-year period between starting his first business and achieving success with Mickey Mouse. Tenacity and persistence are keys to success in any difficult venture. Everyone goes through tough times, especially while chasing a larger-than-life dream. But it is your commitment and perseverance that helps you stand out from the crowd and attracts people to follow your vision. Human beings naturally think in stories, not in abstract concepts. To say Walt Disney understood this is an understatement, as he built his Disney empire on storytelling. But what many people don’t know is that Disney often used storytelling in his meetings with executives and team members to illustrate his company vision. When you need your team to learn a new concept or strategy, don’t forget the importance of telling a compelling story. It will help them solidify what they’ve learned, make better decisions and communicate the vision to their teams. Who Took Over When Walt Disney Died? His brother Roy O. Disney took over complete operations and oversaw the constructions and even the financing which was quite complicated for Walt Disney World in Florida. Roy would succumb to death himself in 1971, and the company was then led by three individuals, Card Walker, Ron Miller and Donn Tatum. All three men were trained in “The Disney Way” by Roy and Walt.